Well…it’s been 9 weeks since our precious baby no. 4 arrived and it’s time for me to lose the baby weight!! For the first six weeks or so mommies aren’t usually cleared for much exercise since their bodies need time to recover. That being said, I have consistently lost a large chunk of weight immediately after each pregnancy during that time. This time, for example, I lost 25 lbs. over the six weeks immediately following delivery. Still, in the past, I have shed all of the baby weight I gained within 7-9 months of delivery. Amazingly, I was actually smaller after I had the twins than before I had them. It might be that I am a bit older this time or perhaps it’s just more difficult to lose weight after each pregnancy…whatever the reason, I have been in a holding pattern for the past three weeks and I can’t stand it! It’s time for me to put in the hard work, effort, and commitment to lose the remaining weight. I actually need to lose an additional 25 lbs.! Yep, you got it, I gained 50 lbs. with our tiny 6 lb. 12. oz. bundle of joy. With my first pregnancy I gained 60 lbs. and I only gained 40 lbs. with the twins. This pregnancy fell squarely in the middle, but the weight gain and weight loss I’ve experienced over the past five years has taken a toll and the weight is not coming off easily this time around!! Not to worry…I am going to lose it, but this time, I need some help! Until a week ago, I was really struggling with a plan to do so as I have very limited time to get out and exercise. My four little ones keep me busy, I am exclusively breastfeeding our newborn, and I am still tending to my law practice, albeit not quite full-time yet. Luckily, one of my friends from high school has been consistently posting about her Beachbody business on Facebook and I have watched her transform her body. I contacted her last week and she took the time to talk with me about my likes and dislikes when it comes to exercise. I am not a huge fan of high impact cardio, instead preferring Yoga and Pilates. 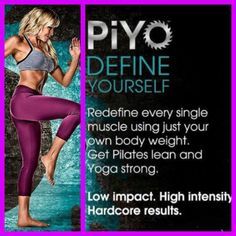 She recommended a program called PIYO and I start my 60 day program today!!! Although Beachbody offers a meal replacement in Shakeology, I am opting not to use it at this time. Since I am exclusively breastfeeding the baby and love to create healthy recipes, I am planning on working out with the help of Beachbody and eating healthy Mediterranean foods! Over the next 60 days, I am going to touch base with all of you and let you know how it’s going. I hope to share a real mom’s experience with losing the baby weight. I hope I can encourage anyone else who’s trying to lose extra weight as well and I’d love to work together with you toward our weight loss goals. 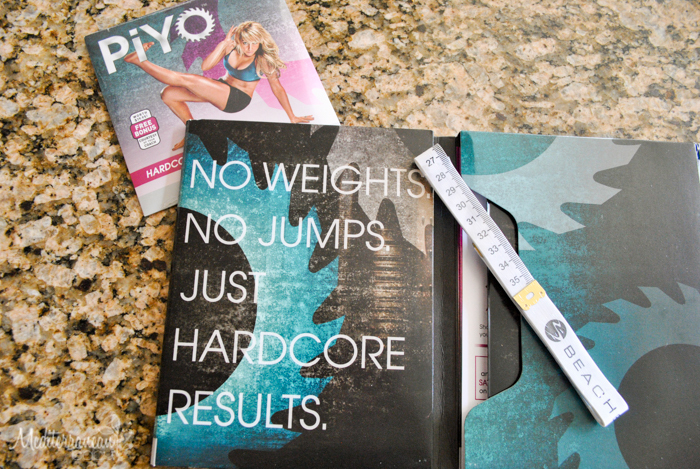 In 60 days, between healthy meals and recipes here on Mediterranean Baby and the Beachbody PIYO program, let’s see how it goes! “So to give you a little intro about Beachbody, we are a company that offers a TOTAL fitness solution! With a variety of at home workouts to fit ALL fitness levels/body types, an optional all natural meal replacement called Shakeology, and FREE Coach support, you will be on your way to living a happier & healthier life in no time!! The programs offered by Beachbody are created by TOP trainers such as ShaunT, Autumn Calabrese and Chalene Johnson, just to name a few. Like I said above, these workouts are for anyone, they range from cardio, cardio/weights, total body workouts and pilates/yoga. And the BEST part is that most of these programs are less than 30 minutes a day!! Who doesn’t have 30 minutes a day to dedicate to themselves? If any of you decide to try one of the Beachbody programs, Jen will even set up a private Mediterranean Baby Facebook group for us to encourage one another and allow Jen to coach us as we lose the extra pounds. I am so excited! Wish me luck…I’ll keep you posted.